Turnip: vegetable that played a great role in ancient Rus. The turnip has a special place in the Russian diet. Try this easy recipe to make the most of this vegetable’s health benefits. 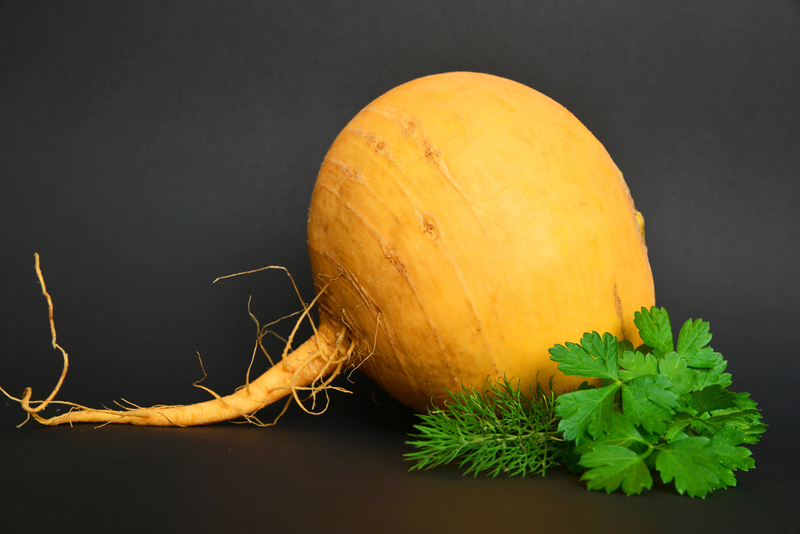 The humble turnip has played an outsized role in the diet of people throughout history. Ancient Greeks offered turnips as a sacrifice to Apollo, the Egyptians fed turnips to the workers who built the pyramids and turnips were the favorite dish of poet Johann Wolfgang von Goethe and philosopher Immanuel Kant. But the turnip was most appreciated by early Russians. Until the 19th century, when Catherine the Great introduced the potato into the local diet, it was the primary food source for Russian peasants. The turnip grew well in the Russian climate, it produced large yields and it was easy to preserve. It should come as no surprise that there are a lot of popular Russian expressions connected with turnips. “I want to eat some turnips, but my teeth are not strong enough” (“Поел бы репки, да зубки редки”), can be used to politely turn down a task; “this turnip seems to be as sweet as an apple for us” (“Нам и репка за яблочко кажет”) means that people do not need a lot of wealth to be happy. And almost nothing is “easier than a steamed turnip” (“Проще пареной репы”). Young turnips gathered in the late summer can be eaten raw, cut into thin, translucent slices and laced with fragrant salty butter. But when the Russian winter sets in, it is time for steamed turnip — parenaya repa — warm and enriched with vitamins. The peasants of early Rus’ knew that properly cooked turnips were a home remedy for many illnesses. Modern science confirms that turnips have many important properties that can help rid the body of toxins. Additionally, turnips contain rare microelements and metals necessary for health. Old cookbooks contain hundreds of recipes for turnips, but the most traditional way to prepare it is by steaming, a way of cooking associated with the old Russian stove, or pech’. Try this easy recipe for traditional steamed turnips. 1. Scrub the turnips with a brush and boil until the inside of the turnips is mushy. 3. Carefully scoop the pulp from the turnips and mix it with the rice, raisins, egg and melted butter. 4. Stuff the turnips with this mixture, sprinkle them with cheese and bake in an oven for 15 minutes.